Forget Gold, Silver and Bronze...or Platinum even. That's just aspirational twaddle to pressure you to trade-up. You are looking for a photographer to capture the most important people, events and possessions in your life. The last thing you want is a 'package' designed by someone else that does not meet your individual needs and wishes. Not everyone likes being put in a box...or on the third podium. To keep it simple and help you meet your individual budget, all you need to know is that there are coverage rates and then itemised costs for everything else. This gives you the opportunity to possess high quality, unforgettable images and have full control over the final cost. Download our self-calculating pricing form; set the coverage hours and pick whatever options you like. Think of it as a grown-up 'Pick & Mix'. Hourly coverage rates are only applied to the shoot-time. These rates include all post-production, retouching, manipulation and print-ready file preparation; secure backup and supply of the images on disk with full copyright permissions. Post-production usually takes 4-5 times the total shoot hours. For this hidden work - which you don't get to witness - we utilise awesome Adobe Photoshop CS software to crop, retouch, enhance, colour manage, artistically manipulate and format the 'raw' shots taken on the day. This is what ultimately distinguishes your images as individual, beautiful and special. Travel up to 25 mile radius of BB11 included. Additional mileage at official HMRC rate. Negotiated rates are available for extended shoots. 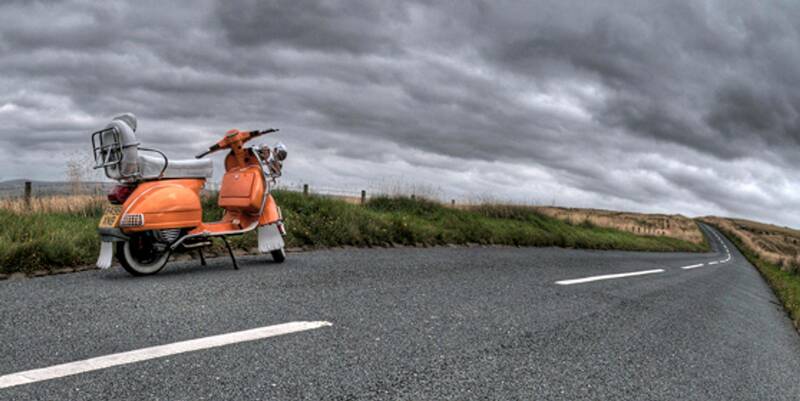 It's your bike / scooter / car / traction engine / whatever...so what you want, you get. Whether that's wide-angle 'in the landscape' shots, detailing close-ups, action, wacky 'fish-eye' or other specialist lenses...we can do it. Check out our 'Races' Gallery. If you have a friend - or four - who would also like to have their 'pride & joy' immortalised; then maybe our 'Mates Rates' sessions are for you. Involving follow-on 1 hour shoots, you each get the same level of service (just fewer finished images) but avoid the higher outlay of a 'solo' photoshoot. Fully inclusive of (many hours) post-production work, each deal guarantees some stunning & absolutely unique shots of your cherished - and we're guessing very shiny - vehicles. Proud of your home? Of course you are. We can capture the natural ambience of your home in all its glory through a range of specialist lenses and techniques. Inside, outside, front, back, rooms, gardens, features...you name it. Fully inclusive of post-production to professional 'print-ready' stage, it's a unique offer for beautiful, 'magazine cover' shots of your home. A fantastic keepsake (or brilliantly superior sales particulars if you're thinking of selling) with the ability to be reproduced as a large format book, print or indeed any of the options given below. Looking for a complete fulfillment service? No problem...let's talk. Canvasses for drama. Tons of sizes from which to choose but be bold, go BIG. 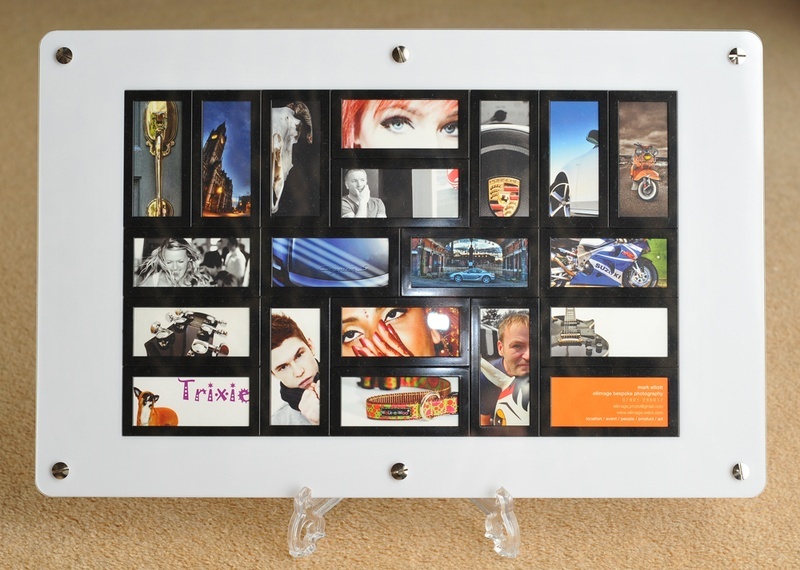 MiniCard Display Frames - arrange (and rearrange) those MiniCards in 100's of combinations. 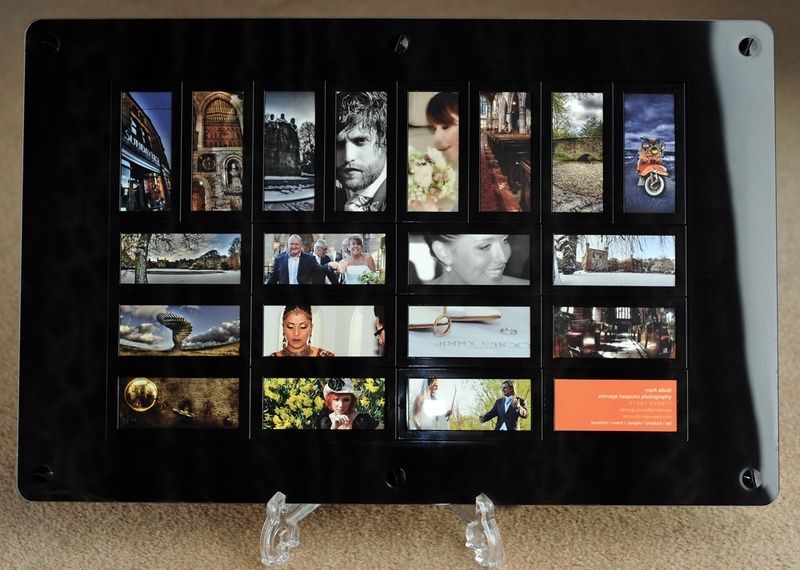 An eye-catching - and customisable - way to show-off shots of a wedding / cherished vehicle / products / pets or whatever you fancy. 420mm x 270mm. Can be hung portrait / landscape or stand mounted. Holds 20 MiniCards. Available in Gloss Black or Gloss White.